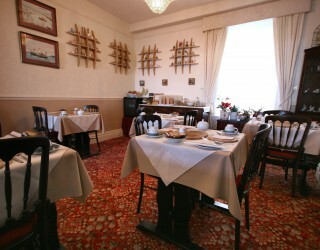 Breakfast is served in our dining room where separate tables for each room enjoy views over the Marina, Breakwater and Torbay. Normally served between 08:00 and 09:30 but alternative times can be accommodated by prior agreement. In addition to our standard menu, Vegetarian, Gluten free and other dietary needs can be accommodated so long as we are notified in advance. 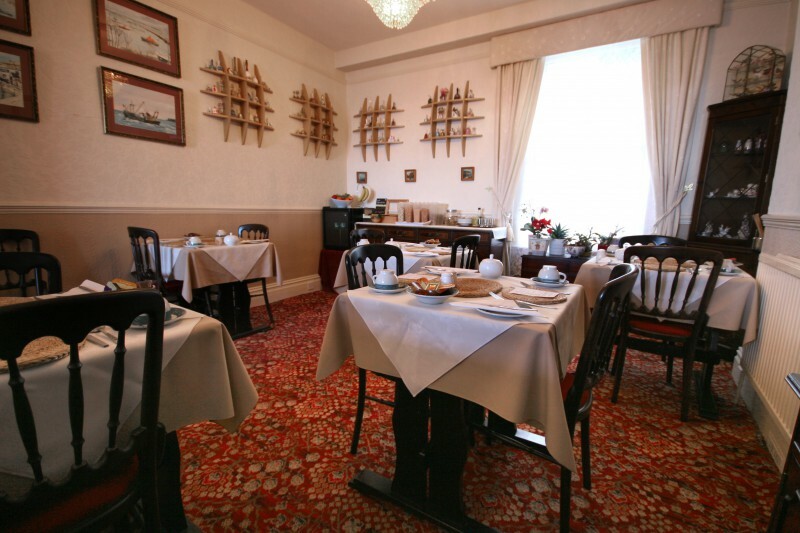 Let us know if you prefer skimmed, semi-skimmed or full milk and please note the choice of fruit and speciality teas. 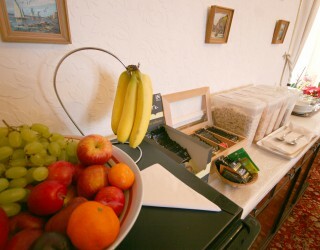 Please help yourself to cereals, fresh fruit, yoghurts and fruit juice. 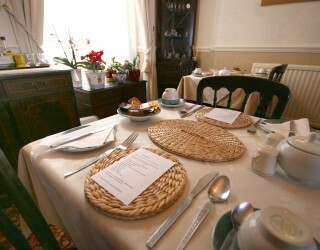 We will then bring tea / coffee to your table and take your order for cooked breakfast. 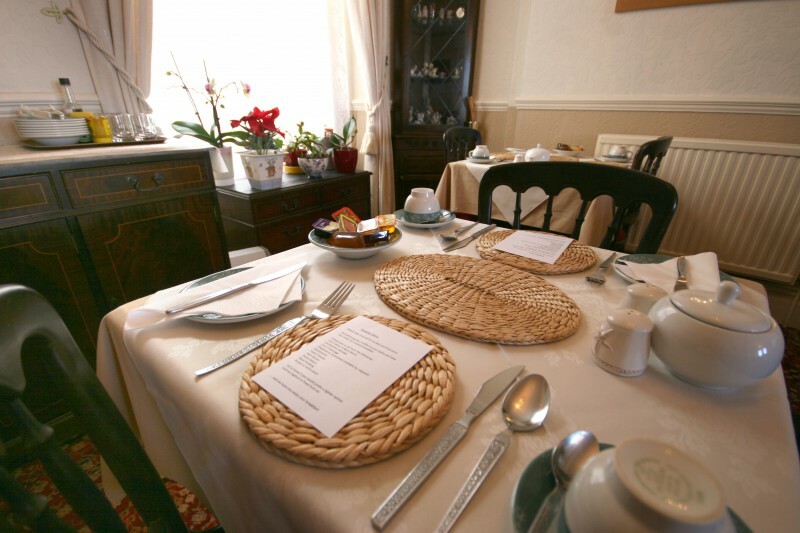 Let us know if you would prefer a lighter option such as porridge or boiled eggs etc…. …. and we hope you enjoy your breakfast! 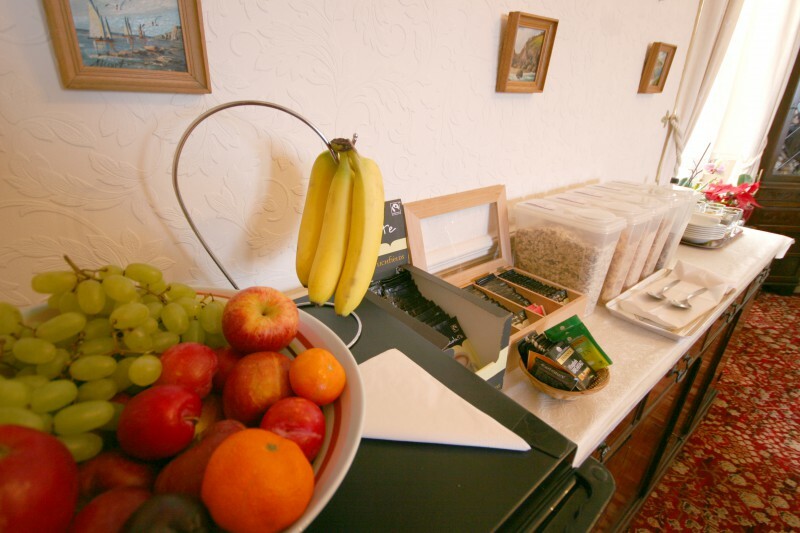 Fresh milk is also provided daily in the mini fridge in your room to enjoy in your tea or coffee. If you need additional supplies, please just ask.